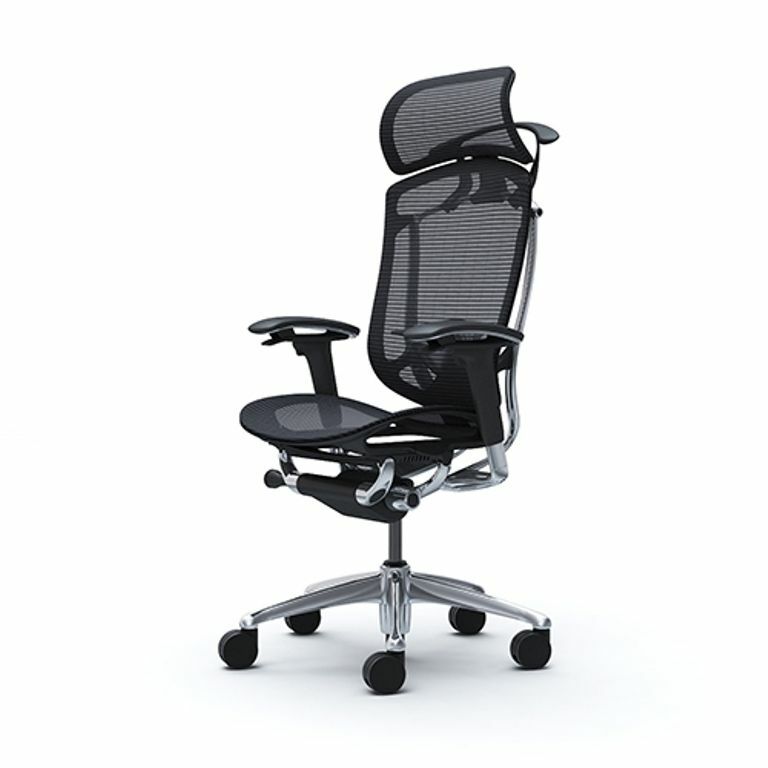 OKAMURA CONTESSA SECONDA Chair with Polished Aluminum Frame is engineered for any body type, delivering world-class strength to all. Contessa Seconda is the evolution of an icon. 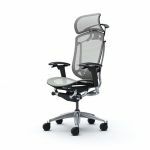 Okamura Contessa Legendary Chair has set the standard for seating in office. Contessa Seconda Chair is engineered for any body type, delivering world-class strength to all. Created by OKAMURA and Giugiaro Design, CONTESSA II chair synthesizes state-of-the-art italian design with Japanese technology to bring office seating to a newlevel of comfort, style and function. Located in the suburbs of Torino Italy, Giugiaro Design was founded by Giorgetto Giugiaro in 1981 and its engineering/industrial design division is leading the engineering design of the world. - Mesh Back / Cushion Seat. Upholstery Colors: 13 color variations. 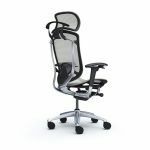 The Contessa II series features comfortable seating and a synchro-reclining mechanism, as well as Okamura’s own “smart operation” that enables the user to make adjustments to match one’s natural posture while sitting. The seat height can be adjusted with the lever in the right armrest. The reclining angle can be adjusted with the lever located in the left armrest. You can choose either free rocking or your favorite angle (in five positions). 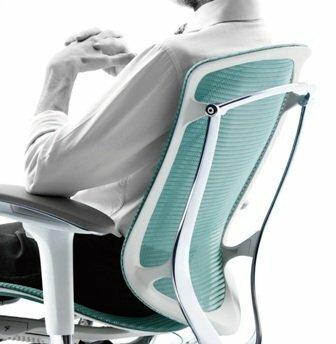 A dial for adjusting rocking tension enables you to set the reclining resistance to meet your body shape and posture. A lever positioned underneath the seat for easy reach enables you to easily slide the seat backward or forward up to 50mm. Available for retro-fit — is height adjustable for greater comfort (stroke 60mm). 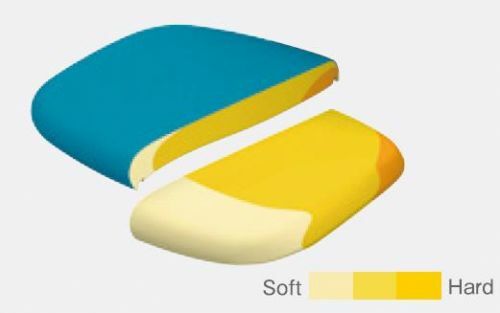 Okamura’s unique Multiple Density Cushion utilizes three types of urethane foam, of varying firmness layered together, to promote healthy sitting. The cushion provides softer support at the front of the seat, reducing pressure on the thighs for improved circulation; denser cushioning at the back firmly supports the hips for stability and improved posture. Adjustable arms can be adjusted in four dimensions: height, depth, width, and angle — enabling the most comfortable elbow support for the various tasks at hand. The arm pads are adjustable up to 30° (20° inward and 10° outward) to give you comfortable elbow support when using a computer or doing other tasks. Large, fixed headrests are elegant and wide, providing neck support especially while reclining. A small headrest option can be adjusted by height, depth, and angle, to create the perfect neck support. The chair rolls on large-diameter 75mm casters to minimize resistance when moving while seated and reduces strain on the lower back. Hard casters for carpet or Soft polyurethane casters for hard flooring. 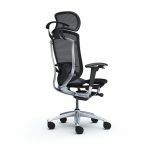 Contessa’s aluminum frame has the lightest and thinnest possible frame design with breathable mesh and sets a new standard for office seating comfort and personal style. 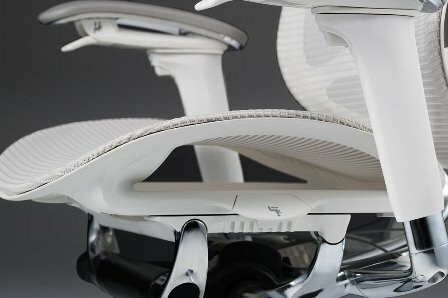 The backrest frame has been streamlined to create a slimmer aesthetic, with an increased flexibility that gently follows the natural movement of the body — without any sacrifice of support. For added stability, the mesh seat frame is now constructed in a one-piece ring structure with soft edges, ensuring improved weight-distribution and comfort. For years, Okamura has made beautiful, tactile mesh for its seating by intertwining luxe-touch and stretchable, strong threads. Contessa Seconda features an upgraded mesh, that is more permeable and lighter in weight for the backrest, and a new luxe-touch mesh for the seat.